For those who know me, Irish history and politics is a fascination of mine, having ancestry from Ireland (in particular from Ulster), of both Protestant and Catholic strains. So the recent story out of Northern Ireland is interesting to me, albeit in an enraging, Northern sort of way. The chief constable of the Police Service of Northern Ireland (PSNI) has said the Provisional IRA still exists. George Hamilton added that some of its members were involved in the murder of ex-IRA man Kevin McGuigan Sr last week. But he said there is no evidence at this stage that the killing was sanctioned by the organisation. The result has been explosive to say the least. Protestant unionist parties such as the Democratic Unionists (DUP) and the Ulster Unionists (UUP) have called to exclude Irish republican party Sinn Féin, historically linked to the Irish Republican Army (IRA), from the power sharing government, with the Ulster Unionists leaving the executive today. To understand the ins and outs of this crisis, the murders that preceded it, and why it is ultimately a (largely) manufactured absurdity, we need to delve Irish political history a bit. Not too long I promise you, just 800 or so years. Ireland before 1172 was a politically divided but fairly culturally united land with few all-Ireland institutions. The land was divided into various local kingdoms and the people were split up among roughly 150 clans. While there was the High Kingship this was largely a ceremonial title that was meant to be bestowed on one of the provincial kings, who would be simply first among equals. However had it the good fortune to be located another 500 miles to the west of England, perhaps Ireland would have developed quite nicely. Just ‘ere on ‘oliday mates! Fresh from conquering England, the Normans now set its eyes on Ireland. Emboldened by Irish political instability, the Norman invasion culminated with Henry II’s personal arrival in 1172. From then until 1542, the kings of England were the lords of Ireland, who held it for the papacy as a personal fiefdom. 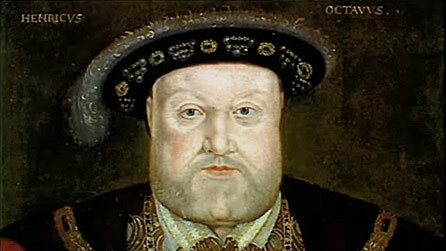 Do you have some time to talk about our one true Supreme Head of the Church, King Henry VIII? Henry VIII’s excommunication compelled him to create the Kingdom of Ireland, which was technically independent but was functionally the English state in Ireland. This would last until 1801. New English policy became more hands on, planning more English settlements, reforming the state church of Ireland along Anglican lines, and slowly lessening the power of the Catholic-Gaelic aristocracy. By now the kingdom was divided into three somewhat distinct ethno-religious groups. The first were the native Irish. 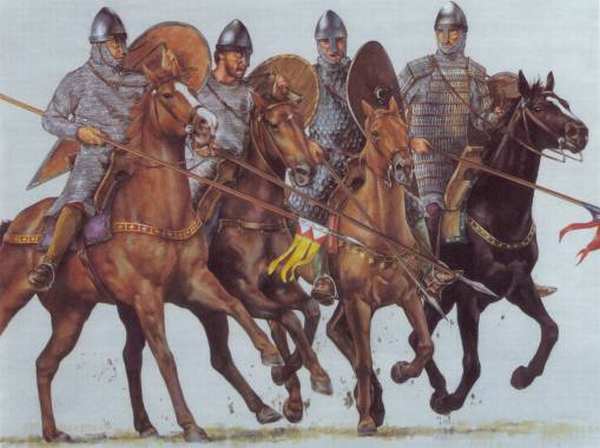 The second were the Hiberno-Normans, a mixture of the old Normans and the natives. The last were the English, the more recent Protestant settlers. These policies eventually lead to an open rebellion. As usual, the Irish were soundly defeated by 1603. Most importantly, their leaders, predominantly from native Ulster, fled to Spain. As retaliation, their lands were confiscated by the Crown. 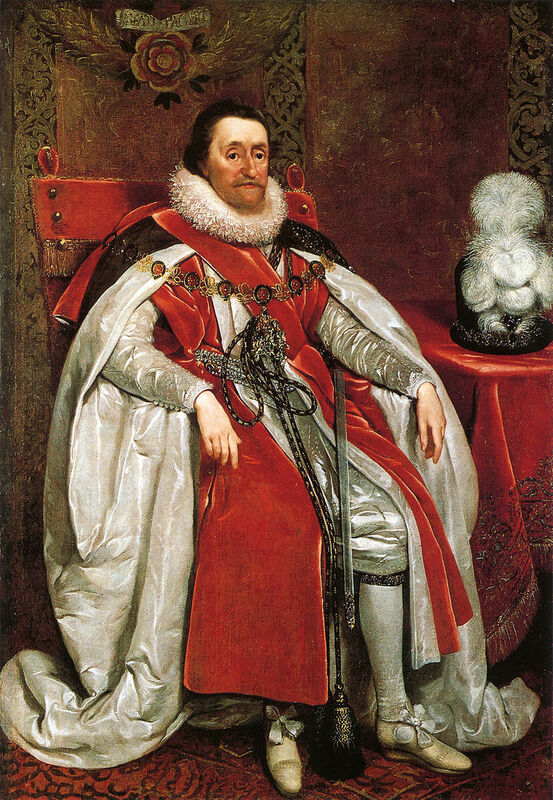 However during the course of the war, Elizabeth I had died and the throne passed to her cousins the Stuarts. You know what will *really* calm down this conflict? Some Scots. As James took the throne, he continued with the policy of confiscation and settlement, except this time he would plant 100,000 Scots in Ulster. This resulted in Ulster being demographically transformed. Over the next 80 years there was a mixture of intermarriage/intermingling combined with low intensity communal conflict and periodic clashes. Fast forward again to the 1770s. By this point Ireland was also made up of three distinctive cultural groups; the Catholic Irish who made up roughly 70% of the population, primarily poor, Irish speaking tenant farmers. The next were the Presbyterians, were from Ulster and of mixed Irish/Scottish culture, primarily small landowners/businessmen The last were the Anglo-Irish. They were, at most, 10% of Ireland and were the large landowners and political elite. By then there was was a distinct restlessness. The new Catholic middle class were unhappy at religious persecution and restrictive Penal Laws. Presbyterians were unhappy with religious discrimination but also disliked how the English parliament harmed Irish trade. Even members of the Anglo-Irish community, influenced by Lockean liberalism, began to criticize Ireland’s lack of toleration and independence under the personal union. Events in America made things worse. The effect of colonies fighting for independence and individual rights was electric. Paine’s Common Sense was the most well read book in Ireland and army recruiters were chased off by mobs. Thousands of Irish immigrants fought in the Continental Army. Irish nationalists, lead by men like Henry Grattan (who is severely under-appreciated in the pantheon of Irish patriots) organized a militia called the Volunteers, to pressure England to grant legislative independence to the Irish parliament. While initially the English caved in on this demand, perceived slowness towards more liberal reform lead to a new movement, convinced that the real trouble was the Crown connection between Ireland and England. This movement would take the American message of independence and individual rights and apply it to Ireland. Predictably, this lead to yet another rebellion, which convinced the (now) British parliament that Dublin needed to be brought to heel. By 1801 the Kingdom of Ireland was abolished and her parliamentary representatives sent to Westminster. From then on Protestant interest was largely with the new Union and Irish nationalism diverged into two major streams; constitutionalist nationalism and physical force republicanism. By the close of the 19th century events were coming to a head. The constitutionalist Irish Parliamentary Party had been driving at Irish autonomy within the Union and by the 1910s it seemed likely that such a bill would pass in Westminster. The Irish Unionist Party was vehemently opposed, proclaiming “Home Rule is Rome Rule.” As Home Rule seemed inevitable, the IUP organized a Protestant militia force based in Ulster, determined to fight Irish nationalists or even the British in order to stop Home Rule from being enforced. In response Irish nationalists formed their own militia force of similar strength. The potential Irish civil war was halted by WWI. Home Rule was passed but suspended and Westminster winked at both sides, hinting support if their forces joined the British army. Overwhelmingly, both sides did join. Enraged by the perceived sell out, the more militant wing, organized by the physical force Irish Republican Brotherhood, organized an uprising in Dublin in 1916, which proclaimed a new Republic. The rebellion, along with the subsequent crackdown after its defeat one week later produced a new dissatisfaction with British rule, which increased as the war went poorly. In the 1918 elections, Sinn Féin, then a relatively new Irish republican party, won more than 70% of Irish seats and proclaimed a mandate for an independent Irish republic. They set up their own institutions of governance complete with their own guerrilla army, the IRA. By 1919 hostilities had broken out and in 1922 a compromise treaty was brokered, granting independence to Ireland, but excluding the majority of Ulster from the deal. Northern Ireland, as it was now called, would remain in the Union with a Protestant majority. The old Irish Unionist Party became reconstituted as the Ulster Unionist Party and would dominate northern politics. Under its rule, Northern Ireland would become a “cold house for Catholics.” The northern IRA left over from the war would become a husk of its former self. However by the 1960s, Catholics began to chafe under the segregationist style discrimination and started copying their ends and means from the American civil rights movement. London looked the other way as mobs of crowbar wielding loyalists backlashed against the demonstrations. As conditions destabilized, the British army was called in to restore order. Initially Catholics welcomed this seemingly neutral force. However by 1970, it became obvious to all that the Protestant, unionist status quo would be upheld. The military was mainly sicced on Catholic neighborhoods and new anti-terrorism policies were aimed almost exclusively at republicans. The summer of 1971 saw escalated hostilities between an invigorated IRA, new loyalist paramilitaries and the British army, climaxing with the Bloody Sunday incident of early 1972. The image of a peaceful, non-nationalist civil rights march being shot at by British soldiers produced an explosion of violence as IRA recruiting spiked. Soon, Northern Ireland became a morass of car bombs, ambushes, sectarian killing and dramatic political gestures. Thankfully by the 1990s, a series of secret talks with the British government, the IRA and Sinn Féin lead to an IRA ceasefire and a peace agreement in 1998, known as the Good Friday Agreement, which was approved by the voters of both Northern Ireland and the Republic of Ireland. The main tenets were unionist-republican power sharing agreement, paramilitary ceasefire (with promises of disarmament) and a restoration of local self government. In 2005, the IRA disarmed, catapulting Sinn Féin to be the premier Irish nationalist party in the North. While crime, occasional violence, and sectarian politics are still the norm in the North, there is a pro-peace consensus that seems to be holding, even as residents bitterly disagree on Northern Ireland’s final status. While the power sharing agreement has held up, that has not stopped unionists from attempting to exclude Sinn Féin, with its IRA links, from holding power in Northern Ireland. For instance in 2002, unionists comically tried to accuse Sinn Féin conducting an IRA spy while in government, only to have the case fall apart, as they turned up no evidence and the only ones who were doing any spying on people in the Northern Ireland Assembly were the British, as it was revealed in 2005 that Sinn Féin member Denis Donaldson had been on the British take for decades. Oops. The latest attempt to undo power sharing comes from the two murders I referenced earlier. After the murders, the Police Service of Northern Ireland (PSNI) held a press conference in which they revealed that these were connected to members of the IRA. The PSNI argued that the IRA continues to exist in a command structure. The response from the unionist parties, the more establishment UUP and the more populist DUP, has been quite a lot of, “Well I never!” The argument goes that the IRA killed people, and to include any party connected to the IRA in power sharing would be an undermining of the rule of law, ergo Sinn Féin must be banned from taking office. It must be mentioned that the UUP are the political descendants of those who brought the gun into modern parliamentary Irish politics to begin with (the Irish Unionist Party and their Ulster Volunteer militia). Had they not, perhaps Ireland would be within the Union today with a devolved government. The UUP set up one of the first Northern paramilitary groups; the B Specials, which operated as a legally sanctioned, all-Protestant loyalist militia. Even British government reports in 1969 and 1970 noted their reputation for wanton violence and usual paramilitary membership. Usually B Special officers were prominent UUP members. More recently the UUP had no problem functionally merging their party with David Ervine’s PUP. It should be noted that Ervine was a paramilitary who was imprisoned trying to set off a car bomb with 5 pounds of C-4. The PUP were the political ally of the Ulster Volunteer Force, which is responsible for the deaths of over 500 people, 85% of which were civilians. The DUP are no better. It must be noted that all this outrage is a bit Johnny-come-lately. The DUP already agreed to power sharing with Sinn Féin back in 2006, when everyone knew for a fact the IRA still existed in a command structure. Most recently the DUP has taken to forming local political alliances of convenience with currently operating paramilitary gangs in south Antrim. Somehow I doubt there will be any calls from within these parties to step down or disband. Maybe DUP or UUP members would say that inevitably anyone above the age of 40 in unionist politics will probably bump shoulders with paramilitaries or those with institutional links with paramilitaries. That’s exactly the point. 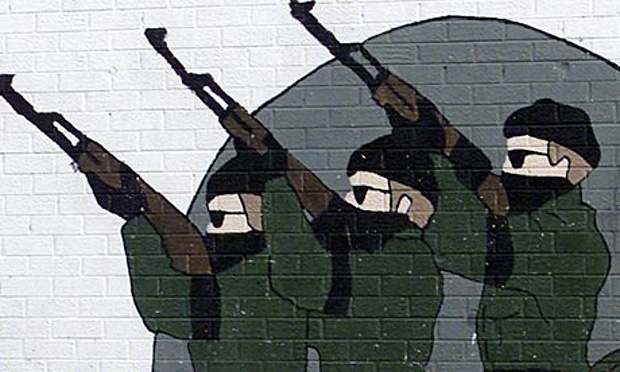 Paramilitary links an unavoidable element of Northern politics. Kicking out parties based on these links would lead to a complete Assembly shut down. A complete assembly shut down only invigorates those whose politics is dominated by bullets, not ballots. The Provisional IRA still exists as an organisation but its leadership did not sanction the murder of former republican prisoner Kevin McGuigan, according to Northern Ireland’s chief constable. “We assess that in common with the majority of Northern Ireland paramilitary groups from the period of the conflict, some of the PIRA structure from the 1990s remains broadly in place, although its purpose has radically changed since this period,” Hamilton said. The Provisional IRA is committed to following a political path and is no longer engaged in terrorism, PSNI Chief Constable George Hamilton has said. The Ulster Volunteer Force still exists, still maintains its structure and still has weapons. Furthermore it still sanctions criminal and sectarian activities, including violence. The Ulster Defence Association still maintains its structure, though it claims to have decommissioned its weapons and regularly engages in criminal activity. It too still engages in sectarian violence. The Loyalist Volunteer Force, still exists, still maintains its structure and still engages in organized criminal violence. These groups are responsible for the deaths of 600+ civilians, though it should be noted there are an additional 250 civilian loyalist murders that responsibility is murky on. Making a fuss and shutting down local governance over an organization which maintains no arms and engages in no sanctioned violence seems foolish. All in all, the recent Northern kerfuffle seems less like a genuine response to preserve the rule of law and rebuke terrorism and more like a sectarian attempt to achieve a long term unionist goal, exclude Irish republicans from government and restore an ironclad unionist legislature. This isn’t to say Ulster Protestant people don’t have a very understandable revulsion to the IRA and thus Sinn Féin. The majority of killings in the Troubles were done by republican paramilitaries (though it should be noted that not every republican paramilitary was a member of the IRA and the majority of the IRA’s casualties were British security forces). The majority of those killed by the IRA, civilian or no, were Protestants, and in such an ethno-nationalist conflict centered in such a small geographic area, no doubt the whole Protestant community felt terrorized by the IRA (and vice versa with Catholics and British security forces/loyalist paramilitaries). After 30 years of bad blood, seeing a political party run by a former brigade commander and a (likely) former chief of staff of the IRA being in the assembly, its no wonder why so many unionists like the idea of pushing them out of government. It’s an immense shame the legacy of civilian killings now is attached to anything related to Irish nationalism or a united Ireland due to the legacy of Sinn Féin. The movement for independence and “cherishing all the children of the nation equally” has devolved, in the North anyways, into them’uns versus us’uns (as has Northern Ireland unionism by and large). Admittedly I’m an American who has little ultimate say in the conflict, but I do hope for a day when Irish nationalist/republican politics can be lead by a generation that has little to do with the legacy, prejudices, and tribalism of the Troubles. 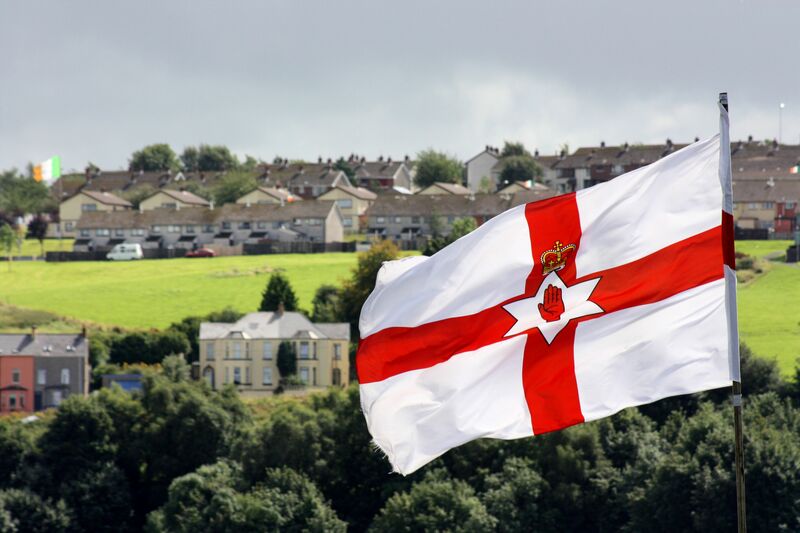 While the unionist attempt to exclude one of the most popular political parties in Northern Ireland, one that has done a lot of good as well as evil, is done clearly for shallow, short term gain, the fears this attempt represents are legitimate. Until Irish nationalism/republicanism can seriously deal with these legitimate fears and grievances of their Protestant counterparts (ex. how can Irish unity accommodate Britishness, how can a united Irish state’s mythos being something Protestants identify with, how will the nuts and bolts of it work? ), a united Ireland will be a pipe dream and Northern politics will likely remain a tribal nightmare. University of Ulster’s Conflict Archive on the Internet (CAIN), a great source of history, documentaries, online books and a host of information on the Troubles. BBC’s great nine part documentary series on the main actors in the conflict; the IRA, the loyalists and the British.